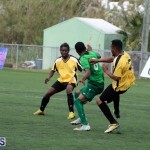 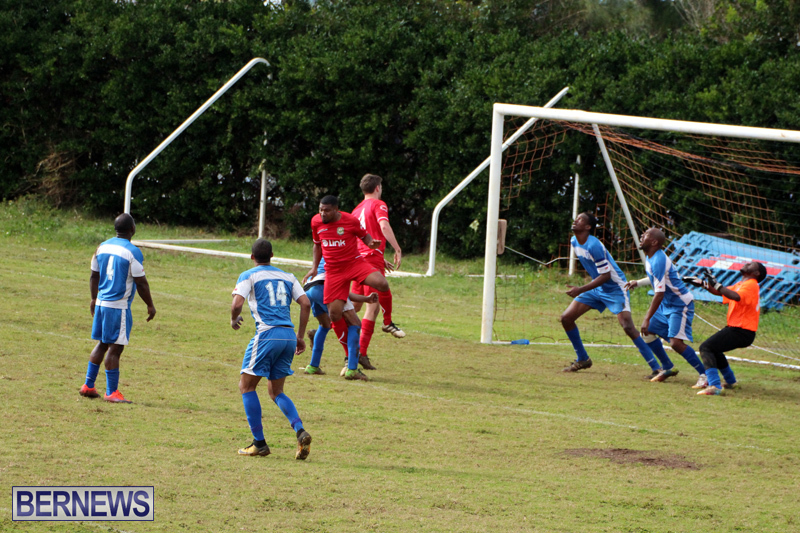 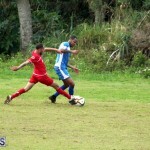 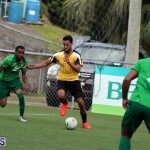 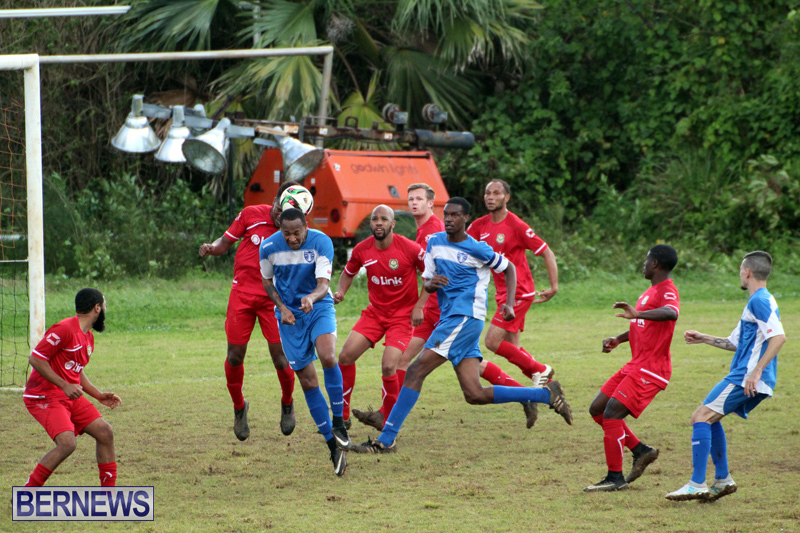 North Village Rams, Robin Hood, BAA, St. George’s Colts, Devonshire Colts, and Ireland Rangers all walked away with wins in recent Premier and First Division football action, which took place under less than ideal weather conditions. 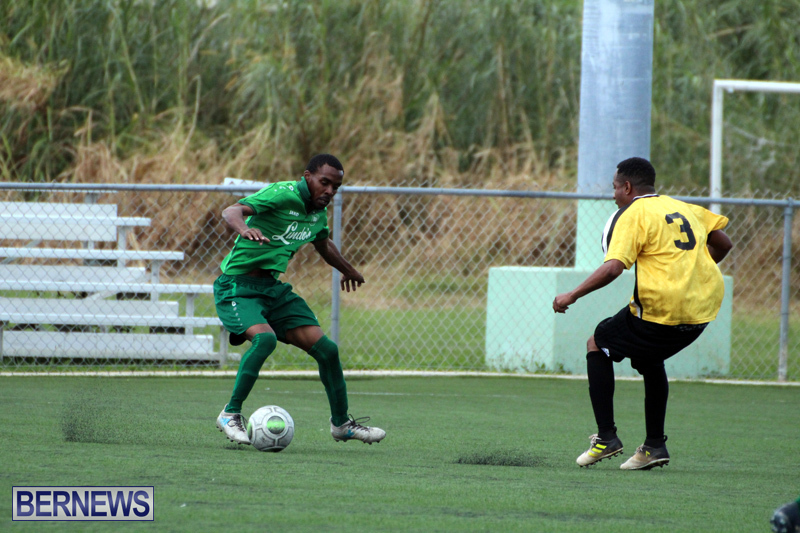 At the Police Field after a scoreless first half the North Village Rams would score 3 unanswered goals to defeat Young Men Social Club. 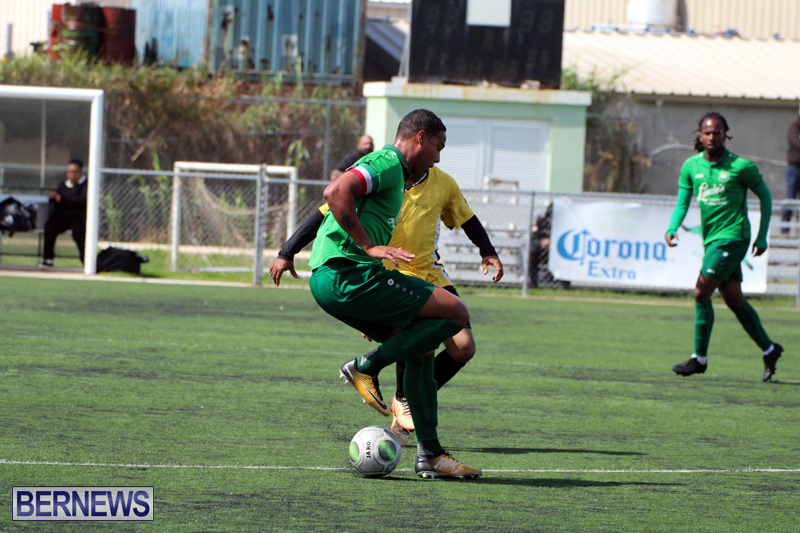 An own goal scored in the 57th minute and Jahquan Smith-Deshields goals in the 85th and 89th minutes earned the North Village Rams the win. 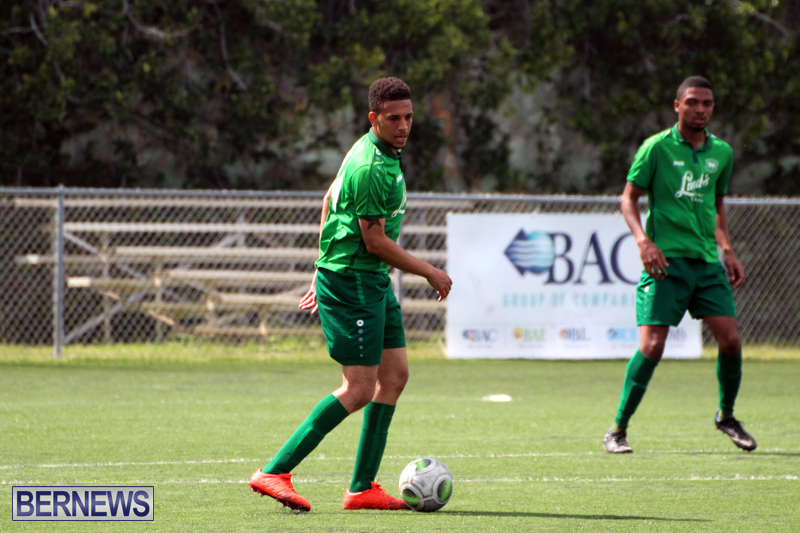 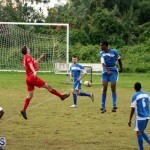 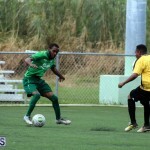 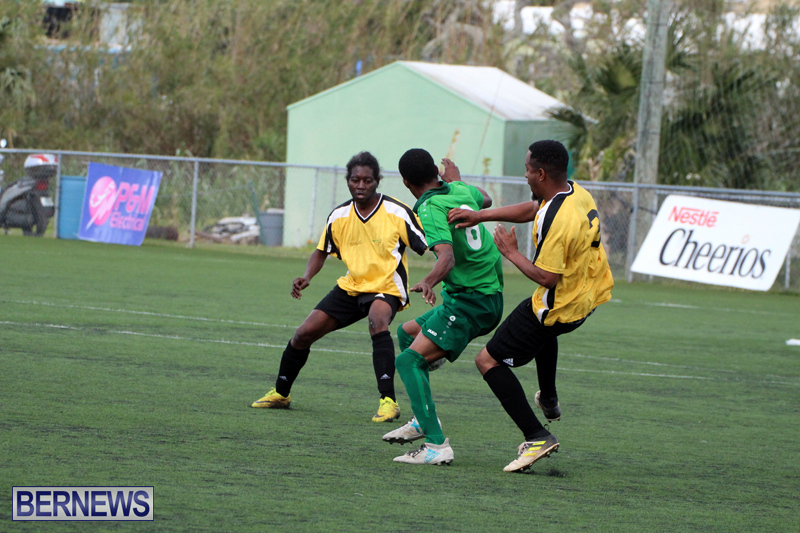 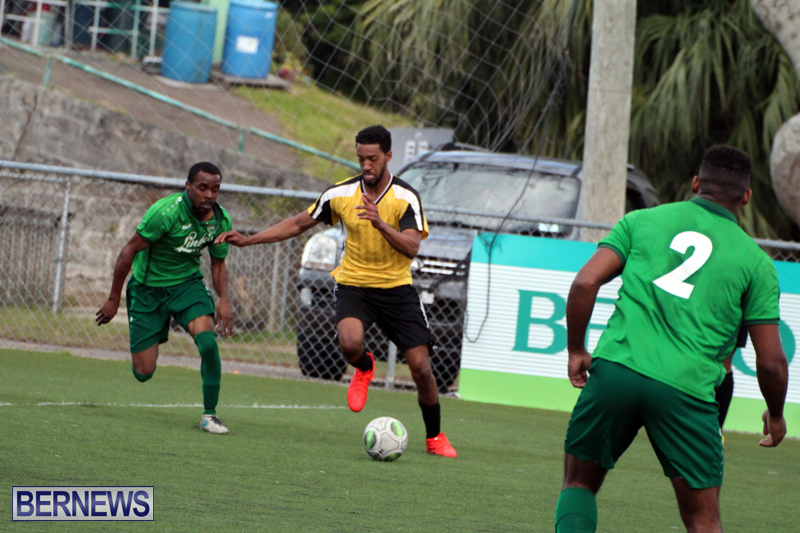 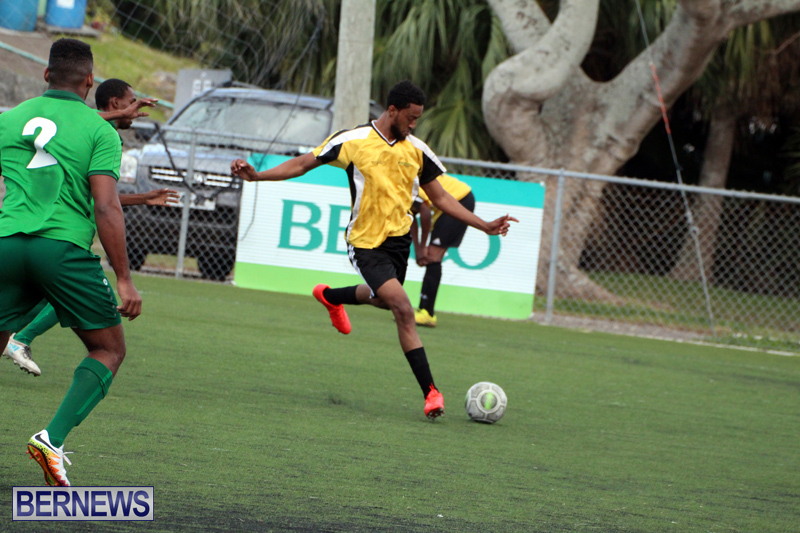 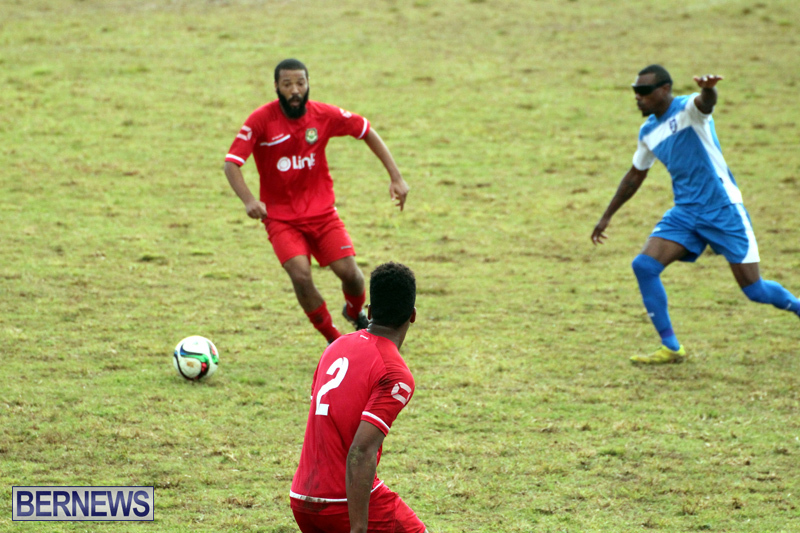 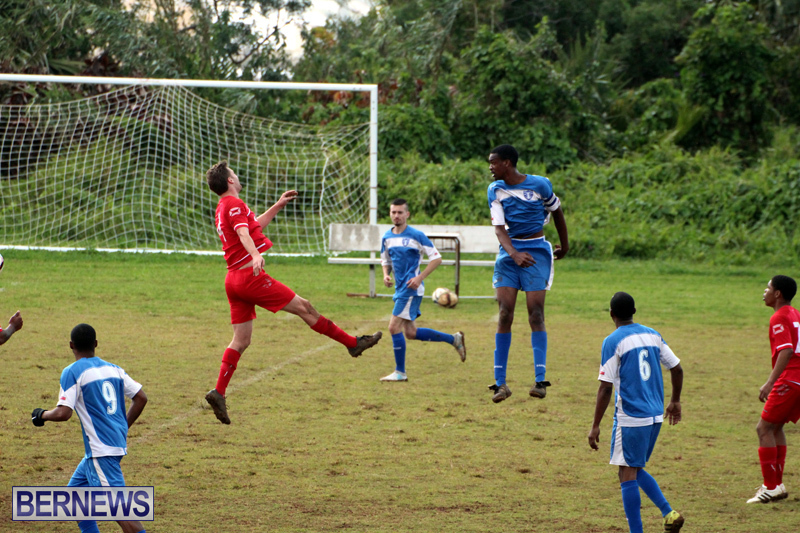 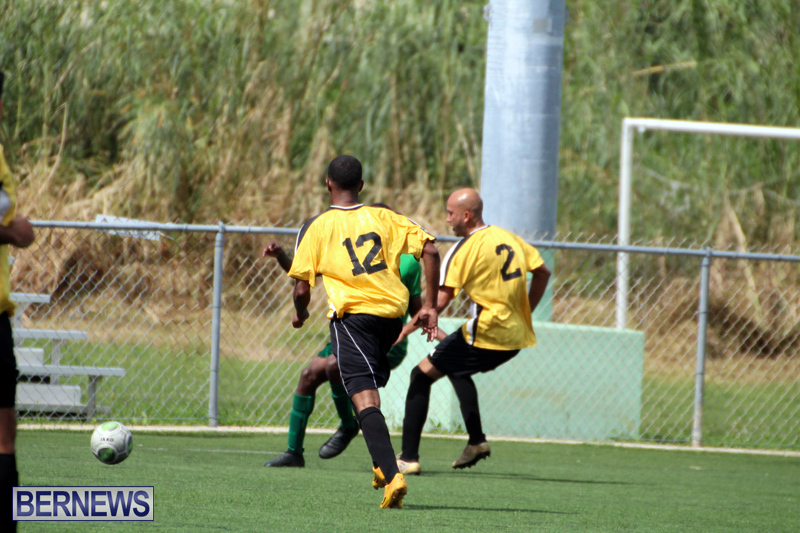 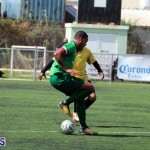 At the BAA Field the Dandy Town Hornets would come from 2 – 0 down with four minutes remaining to draw 2 – 2 with the Boulevard Blazers. 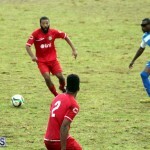 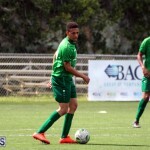 The boulevard Blazer would take the lead in the 58th minute when Aldonte Smith score, Jahzardae Samuels would double the lead in the 75th minute, but Angelo Simmons would pull a goal back for the Dandy Town Hornets in the 86th minute and then Simmons would find the back of the net in the 90th minute for the equalizer. 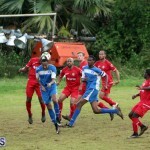 At the Somerset Cricket Club, visitors and defending league champions Robin Hood defeated the Somerset Trojans 3 – 0. 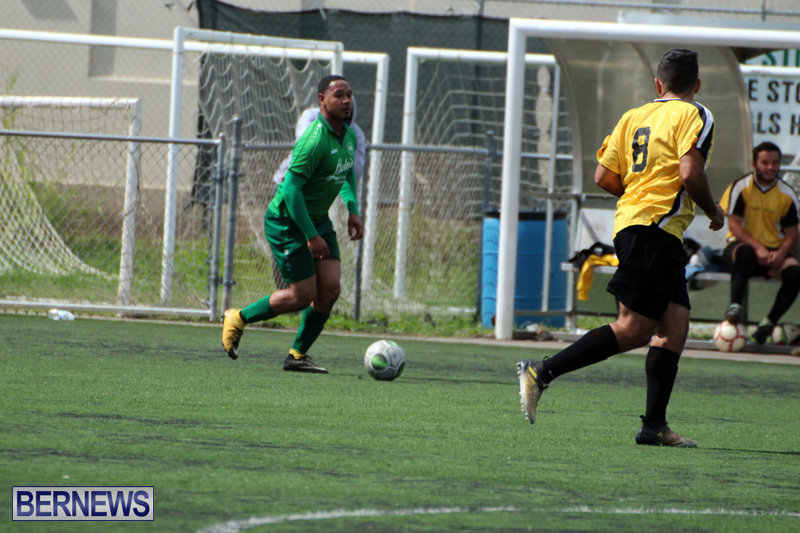 Lejuan Simmons and Antwan Russell would find the back of the net in the first half, while Jason Titterton would score the lone goal in the second half. 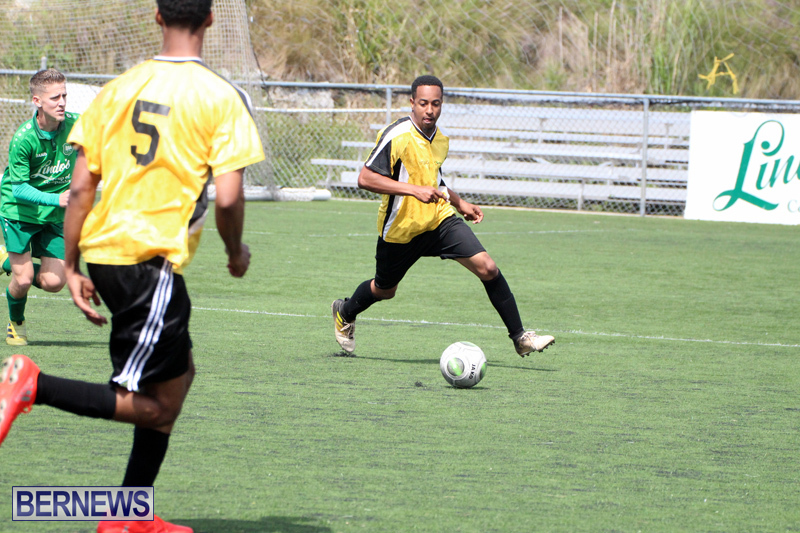 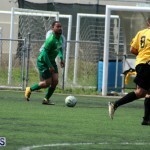 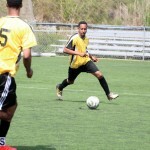 BAA opened up a four point lead on top of the Standings following this 7 – 0 win over Wolves at the BAA Field. 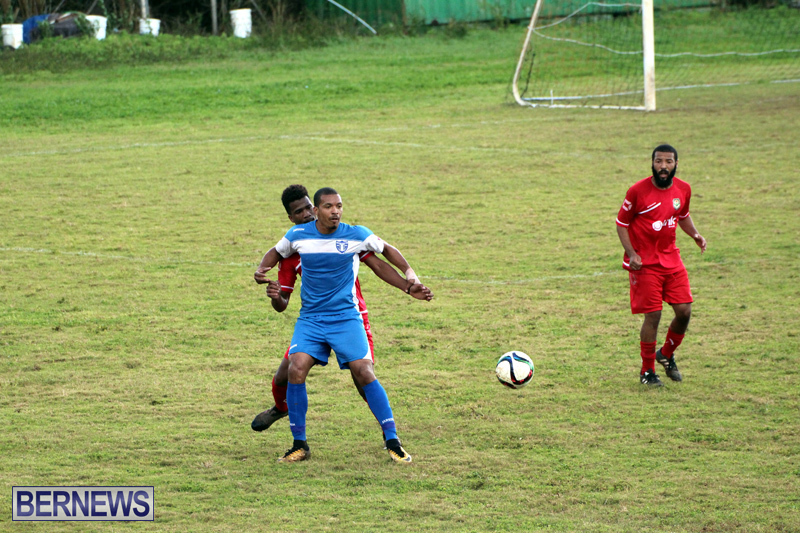 Morricko iris would score 5 times to lead BAA to victory, with Tyrell Burgess and Marcus Brangman both adding a goal each. 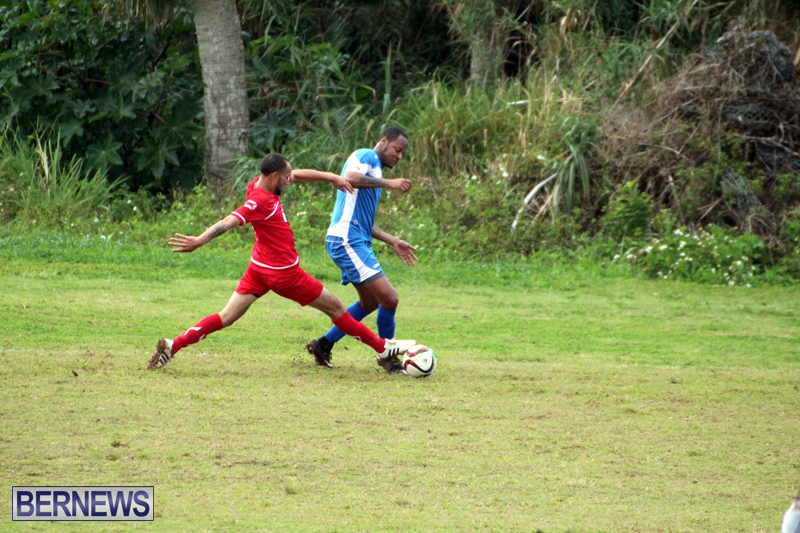 St. David’s returned to the Wellington Oval the scene of them falling to Hamilton Parish looking to redeem themselves, but they ran into a St. George’s Colts team firing on all cinders, Donavan Thompson would lead the charge with 4 goals, while Sage Paynter added a hat-trick, Jarazinho Bassett and Jelani Carlington would also get their names on the scoresheet, while Marlo Proctor scored the lone goal for St. David’s. 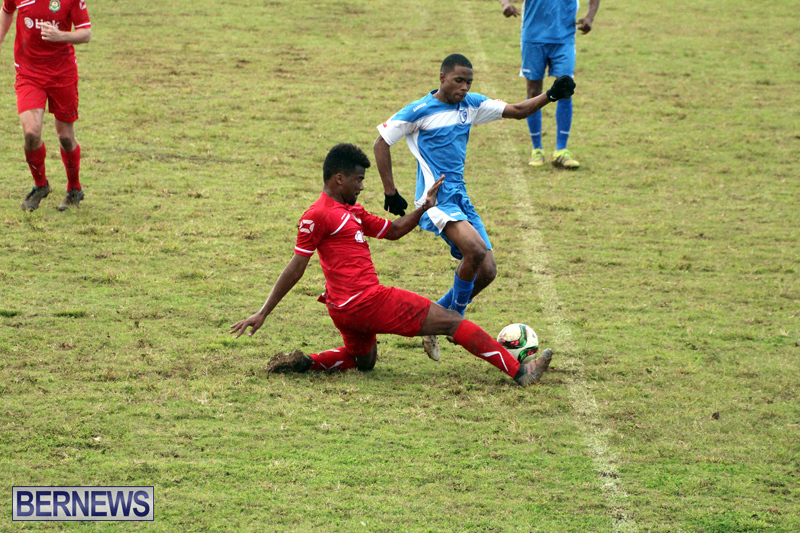 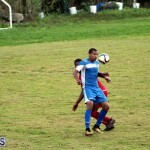 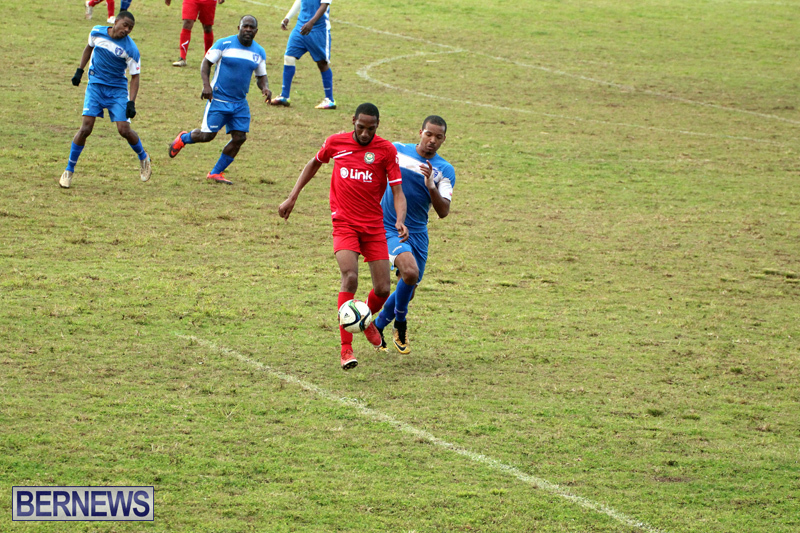 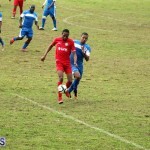 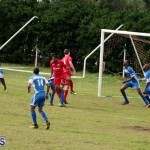 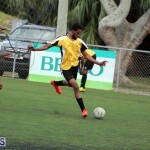 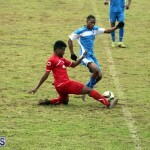 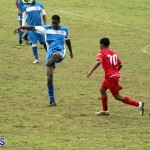 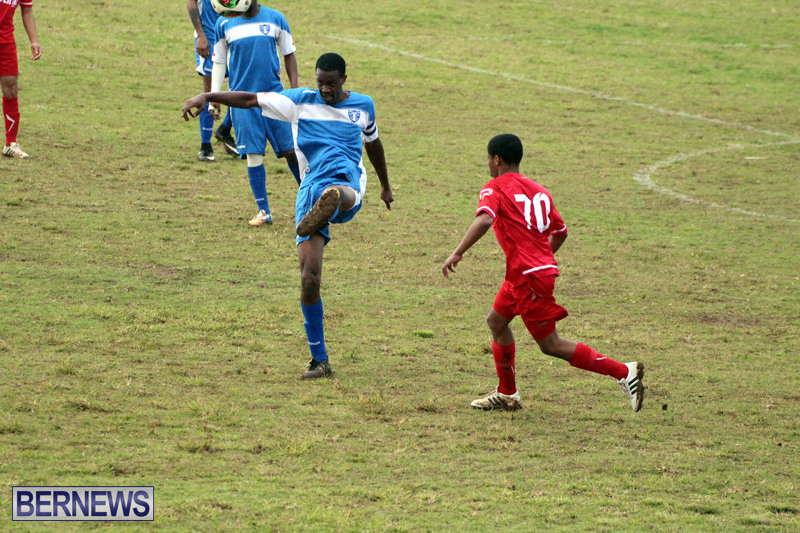 At the Police Field, the Devonshire Colts brought Hamilton Parish back down to earth with a 3 – 0 win. 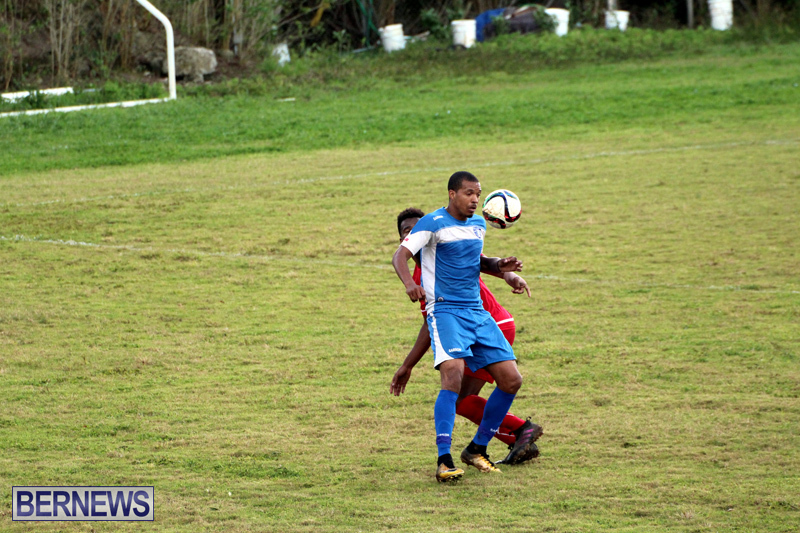 Hamilton Parish picked up their first win of the season a week ago, but goals from Cameron Coffey, Brandon O’Connor and a rocket from Michael Williams gave Devonshire Colts the win. 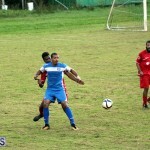 At Malabar, Ireland Rangers defeated the Somerset Eagles 2 – 1, D’Andre Wainwright gave the Somerset Eagles the lead in the 10th minute, but Jonathan Bean would equalize for Ireland Rangers in the 17th minute and a minute later Jirico Powell would score what proved to be the winner for Ireland Rangers.